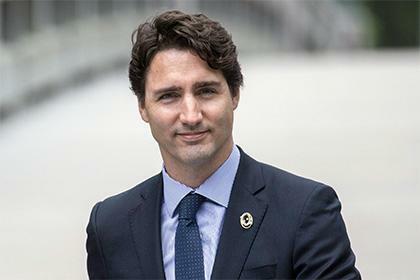 (MENAFN - Trend News Agency) Canadian Prime Minister Justin Trudeau will hold a press conference later Tuesday, in which he is expected to answer questions on Veterans Affaris Minister Jody Wilson-Raybould's resignation, according to a statement from the Prime Minister Office, Trend reports citing Xinhua . Last night, the prime minister spoke with Jody Wilson-Raybould who informed him she was tendering her resignation from cabinet. The prime minister convened a cabinet meeting this morning to inform his cabinet colleagues of Wilson-Raybould's resignation, said the statement. The statement said Defense Minister Harjit Sajjan immediately assumes responsibilities as acting minister of veterans affairs. Wilson-Raybould announced her resignation from the Trudeau cabinet in the midst of allegations that the Prime Minister's Office tried to pressure the former justice minister to abandon a corruption and fraud prosecution of SNC-Lavalin. "With a heavy heart I have submitted my letter of resignation to the Prime Minister as a member of Cabinet," she said in her Twitter post. Conflict of Interest and Ethics Commissioner Mario Dion said on Monday that he was to start the investigation into the allegations as he believed the law might have been contravened in this case. It also came one day after Trudeau said Wilson-Raybould's continued membership in his cabinet as an indicator to Canadians that she was not unhappy with his government. Wilson-Raybould's resignation is expected to prompt another cabinet shuffle. Last Thursday, Canadian newspaper The Globe and Mail reported that as attorney general, Wilson-Raybould came under pressure from the Prime Minister's Office to override the decision of the public prosecution service shelve court proceedings against SNC-Lavalin in favor of a negotiated settlement without trial. The company faces charges of bribing Libyan officials between 2001 and 2011 in exchange for contracts.